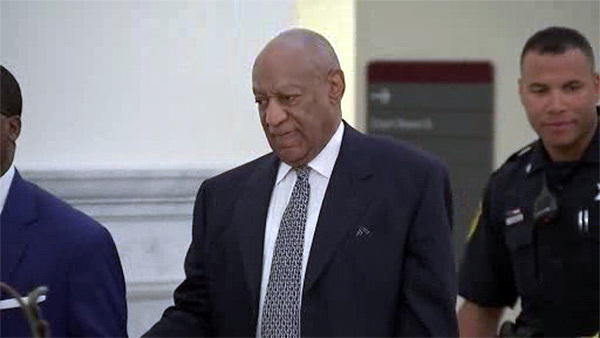 PHILADELPHIA -- Prosecutors preparing for Bill Cosby's retrial on sexual assault charges want to call 19 other accusers to try to show a pattern of "prior bad acts" over five decades. The comedian's first trial ended with a hung jury in June. In that proceeding, prosecutors asked to call 13 other accusers, but the judge allowed only one to testify. A lawyer for Cosby says she can't comment on Thursday's filing. The 80-year-old comedian is charged with knocking out a Temple University employee with pills and sexually assaulting her in 2004. Cosby has said the sexual encounter was consensual. Pennsylvania law allows testimony about "prior bad acts" if they fit a nearly identical crime pattern. Prosecutors say that's the case for the TV star once dubbed "America's Dad."